Here we have for sale a Chevrolet / OPEL Kadett / Vauxhall Astra 1.8 5 Door 1991 in Red 1/43rd Scale. This model is badged as a Chevrolet Kadett but was sold in this country as a Vauxhall Astra. OPEL KADETT E. Opel Kadett E 1.8. Sondermodell Dream. Sehr exaktes und maßstabgetreues Miniaturmodell. Sammlermodell: Nicht geeignet für Kinder unter 14 Jahren. Kein Spielzeug! § 474 BGB. Ap428-1 #8x Imu / Wiking / Roco Etc. -Fabricante de IMU / Viking / Roco, pero otros fabricantes. Spurweite H0. Maßstab H0. La herramienta gratuita para publicar anuncios. Ver Renuncia en la parte inferior de la página. ASCONA C GT 1.8i. unbespieltes Vitrinenm odell in sehr schönem Zustand. LIMOUSINE 4-türig. - schöner Innenraum und Unterboden. - Maßstab 1:43. No Cheques Accepted. 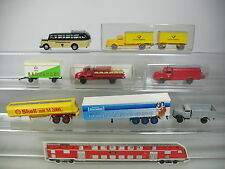 Bo876-1# 8x Brekina h0/1:87 camiones: IFA + MB + Magirus + Opel + Hanomag + Krupp, elección 2. Alle mit Mängeln (die drei LKWs mit Anhänger vergilbt, sonst Großteil der Modelle mit angebrochenen bzw. abgebrochenen Kleinteilen). Offensichtlich erkennbare Fehler werden nicht extra aufgeführt. Wiking 1:87 GK 88a/1 "8r" Opel Rekord mit Zughaken. Sollten auf dem Foto irgendwelche Fehlteile zu erkennen sein, auch wenn diese zum werkseitigen. technische Defekte, Abbrüche, Fehlteile. Zurüstteile, Bedienungsanleitungen, Zertifikate usw. 1/18 Scale Model by triple9. Scale 1/18. The MODEL Is In MINT Condition. The BOX Is In MINT Condition. GOOD - The item will have had more use, showing obvious imperfections. EXCELLENT - The item will have had very careful use, with only small imperfections. 1/18 Scale Diecast Model by Otto. Scale 1/18. EXCELLENT - The item will have had very careful use, with only small imperfections. GOOD - The item will have had more use, showing obvious imperfections. The Box Is In Excellent Condition. Slightly Worn / Dented. 1/18 Scale Model by UT MODELS. The RM Toys Team. New Arrivals. EXCELLENT - The item will have had very careful use, with only small imperfections. 1/18 Scale Diecast Model by SUNSTAR. FAIR - The item will have heavy signs of wear, showing major imperfections. Ending Soon. New Arrivals. The RM Toys Team. Kind Regards. Our aim is to ensure no matter what the model, we will provide an excellent service experience. 1/18 Scale Model by OTTO. Scale 1/18. Ending Soon. New Arrivals. The RM Toys Team. Kind Regards. Our aim is to ensure no matter what the model, we will provide an excellent service experience. GRADING CONDITIONS. 1/18 Scale Model by WELLY. Scale 1/18. Ending Soon. New Arrivals. The RM Toys Team. Kind Regards. Our aim is to ensure no matter what the model, we will provide an excellent service experience. GRADING CONDITIONS. 1/18 Scale Diecast Model by Revell. 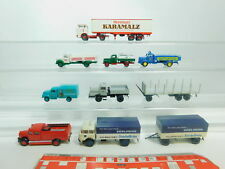 Material Diecast. Scale 1/18. GOOD - The item will have had more use, showing obvious imperfections. EXCELLENT - The item will have had very careful use, with only small imperfections. 1/18 Scale Model by kk model. Scale 1/18. Ending Soon. New Arrivals. The RM Toys Team. Kind Regards. Our aim is to ensure no matter what the model, we will provide an excellent service experience. GRADING CONDITIONS. 1/18 Scale Die-Cast Model By Revell.08421 Opel Manta Gt/E Yellow The Model Is In NEAR MINT Condition.DUSTY The Box Is In GOOD Condition - Worn. 1/18 Scale Model by REVELL. Ending Soon. New Arrivals. Material Diecast. Scale 1/18. GOOD - The item will have had more use, showing obvious imperfections. EXCELLENT - The item will have had very careful use, with only small imperfections. FAIR - The item will have heavy signs of wear, showing major imperfections. 1/18 Scale Diecast Model by Maisto. Scale 1/18. Ending Soon. New Arrivals. The RM Toys Team. Kind Regards. Our aim is to ensure no matter what the model, we will provide an excellent service experience. 1/18 Scale Model by Triple 9. Scale 1/18. Ending Soon. New Arrivals. EXCELLENT - The item will have had very careful use, with only small imperfections. The RM Toys Team. Kind Regards. Our aim is to ensure no matter what the model, we will provide an excellent service experience. Slightly Dusty The Box Is In Fair Condition. Quite Worn And Torn. 1/18 Scale Model by UT MODELS. Ending Soon. New Arrivals. The RM Toys Team. Kind Regards. Our aim is to ensure no matter what the model, we will provide an excellent service experience. 1/18 Scale Model by BOS. Scale 1/18. The Model Is In NEAR MINT Condition - Has been displayed / Dusty. The Box Is In EXCELLENT Condition. Our aim is to ensure no matter what the model, we will provide an excellent service experience. 1/18 Scale Diecast Model by Sun Star. Material Diecast. Scale 1/18. FAIR - The item will have heavy signs of wear, showing major imperfections. Ending Soon. New Arrivals. The RM Toys Team. Kind Regards. 1/18 Scale Model by UT MODELS. Scale 1/18. The RM Toys Team. EXCELLENT - The item will have had very careful use, with only small imperfections. Kind Regards. Our aim is to ensure no matter what the model, we will provide an excellent service experience. 1/18 Scale Model by SUNSTAR. Our aim is to ensure no matter what the model, we will provide an excellent service experience. Ending Soon. New Arrivals. The RM Toys Team. Kind Regards. GRADING CONDITIONS. 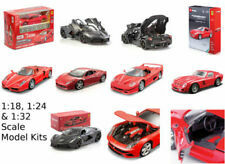 1/18 Scale Diecast Model by Model Car Group. Material Diecast. Scale 1/18. New Arrivals. The RM Toys Team. Kind Regards. Our aim is to ensure no matter what the model, we will provide an excellent service experience. Scale 1/18. Ending Soon. New Arrivals. The RM Toys Team. Kind Regards. GRADING CONDITIONS. Our aim is to ensure no matter what the model, we will provide an excellent service experience. EAN 7426996902631. Scale 1/18. Ending Soon. New Arrivals. The RM Toys Team. Kind Regards. GRADING CONDITIONS. Our aim is to ensure no matter what the model, we will provide an excellent service experience. EAN 7426996902693. Scale 1/18. Ending Soon. New Arrivals. The RM Toys Team. Kind Regards. GRADING CONDITIONS. Our aim is to ensure no matter what the model, we will provide an excellent service experience. EAN 7426996902761. Eine günstige Lok für den Spielbahner, ein Vitrinen-Modell im Original-Karton für den Sammler, Bastlerware für den Schrauber, oder ein Reste-Konvolut für den Landschaftsbauer?. Funktion: Bastlerware, eventuelle Hinweise zur (Teil)funktion siehe oben. Wiking 1:87 GK 88a/1 " 8r " Opel Rekord mit Zughaken graublau. Sollten auf dem Foto irgendwelche Fehlteile zu erkennen sein, auch wenn diese zum werkseitigen. Zurüstteile, Bedienungsanleitungen, Zertifikate usw.